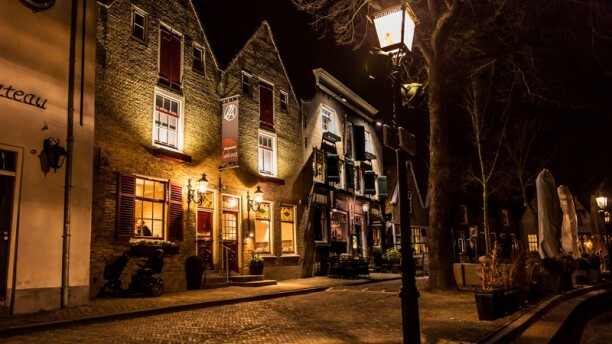 Restaurant l'Ambiance is located in a rugged and authentic harbour building in Middelharnis' dockyard. It serves a classic French cuisine, prepared with modern techniques. Outspoken ingredients, such as black pudding, lobster and salmon, are accompanied by all kinds of foam, sauce and mousseline. The staff is enthusiastic and able and will go that extra mile to ensure their guests have a wonderful evening. The inspiration menu is good value, featuring colourful and creative dishes, full of flavour and interesting textures. Excellent food, service attentive but at times sloppy, need a little more experience to get really professional. Happy to return to enjoy again!